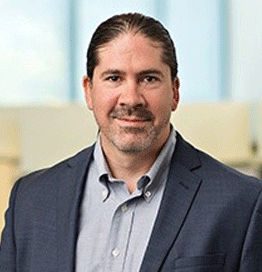 Bruce Potter is Expel’s (expel.io) chief information security officer (CISO). He’s responsible for cyber risk management and ensuring the secure operations of Expel’s services. He also remains perpetually frustrated that employees pronounce CISO not-the-way-he-wants. Previously, Bruce co-founded Ponte Technologies, a cybersecurity research and engineering company that worked with organizations ranging from hedge funds to intelligence agencies. Bruce sold Ponte Technologies to the KeyW Corporation where he served as CTO for two years. In another life, Bruce founded the Shmoo Group and helps run the yearly hacker conference, ShmooCon (shmoocon.org), in Washington, DC. Bruce has co-authored several books and written numerous articles on security (or the lack thereof). He is a regular speaker at conferences including DefCon, Blackhat, and O’Reilly Security as well as private events at the United States Military Academy, the Library of Congress and other US government agencies. If Bruce is late for his talk, he’s likely standing in a nearby body of water with his fly rod trying in vain to catch fish.